A few months ago I heard about a burger place on the Southside - Soul Cartel that does a big burger. So one particular Wednesday when I had a craving for a juicy burger, I decided to go and try the place out. There were a few burgers on the menu including 'The Beast', 'White Buffalo', and the 'Bacon-A-Tor' but ultimately I went with the 'Not your average rodeo'. I choose this burger because it included a beef patty, double American cheese, double bacon, pickles, crispy fried onion rings, burger sauce and chipotle lime ketchup. 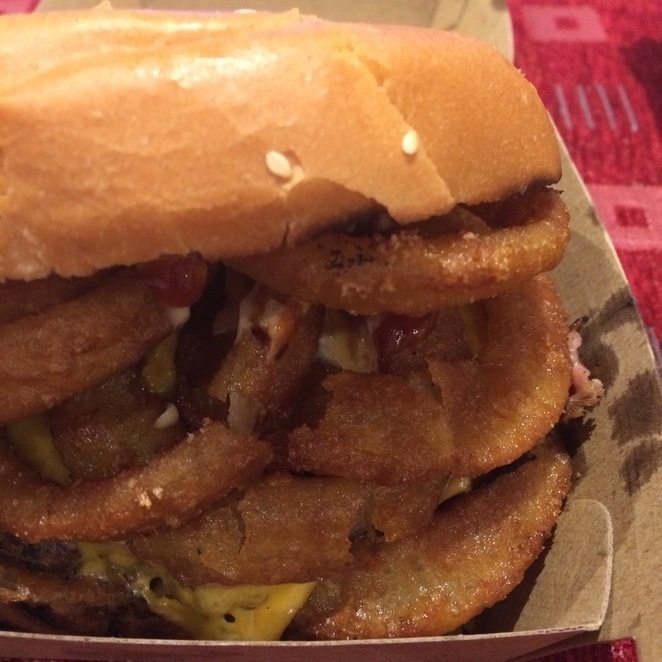 I was particularly interested in the crispy fried onion rings in the burger, as it was not something I had thought of adding before. I'm glad that I tried it though as it was delicious, even though I slightly squished my burger on the way home! 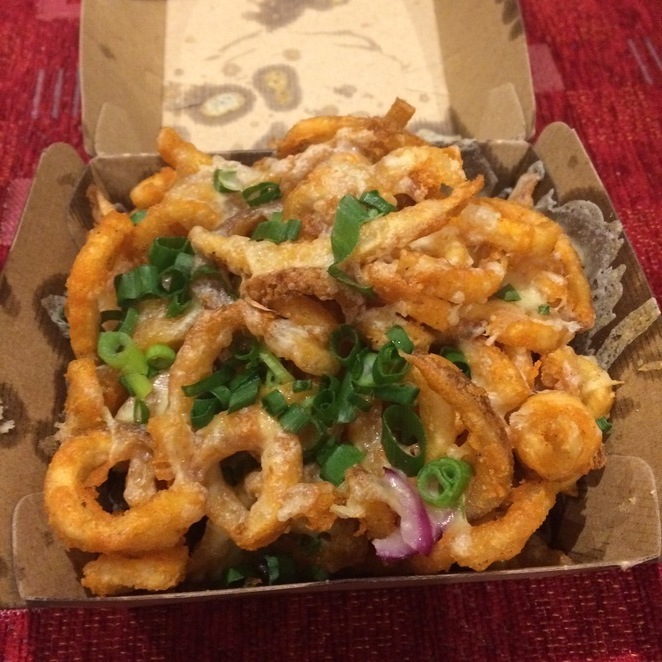 In addition to the burger, we also got some 'dirty fries' to share; these twister fries are covered in cheese, gravy and shallots. They were delicious and I loved how crunchy having the twister fries made the side dish. All in all, I loved my visit to the Soul Cartel Farr Side, the service was great and the food was even better. The fried onion rings definitely added something extra to the burger and I'll definitely be requesting them again next time! I now know what the Farr Side reference is.